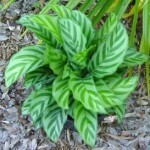 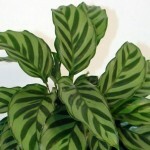 Calathea Plants, have beautiful, brightly colored leaves. 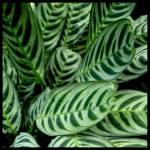 There are more than 300 different varfieties of Calathea plants. 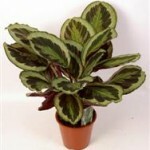 The Calathea plants are typically sold in 6inch or 10inch pots and rarely grow taller than 24 inches. 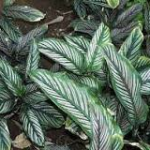 One of the common features of the Calathea plant is the purple underside of the leaves that can be seen in the Calathea Medallion, for example. 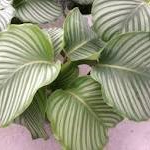 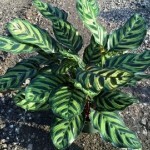 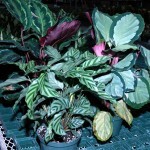 A Calathea Plant is a fussy plant, but wroth growing for its exotic foliage.